No matter how old you get, team mascots always have a special place in your heart (even the most ridiculous ones — yes, I'm looking at you, Stanford tree). Rocky the Bull is obviously my favorite and I just melt whenever I see him. He wasn't named the 2013 Capital One National Mascot of the Year for nothing! 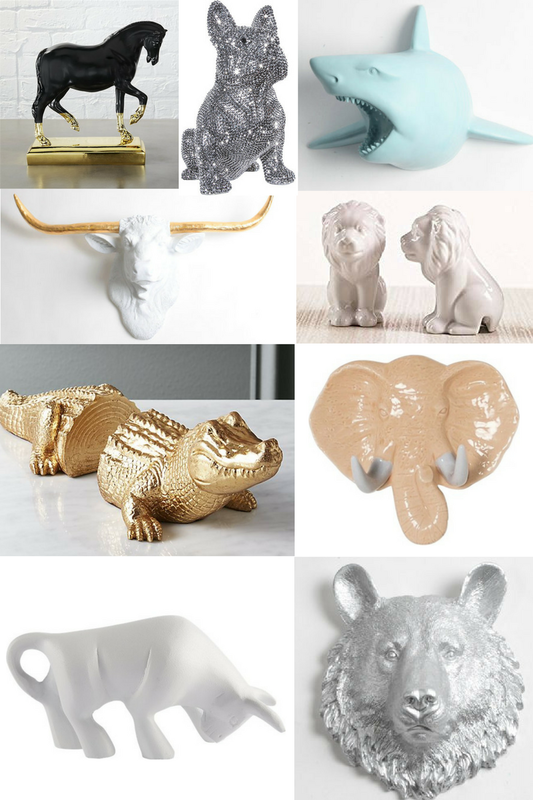 While leafing through a CB2 catalog recently, I saw Matty the Bull (a cool table top figurine, not to be confused with my dear Rocky) and it got me thinking that there could be some very chic ways to incorporate a sports team mascot into home or office decor. So I did some groundwork and found a few options that celebrate some top mascots in a stylish new way. What do you think about these chic takes on team mascots? I think Matty the Bull might be coming home with me soon!